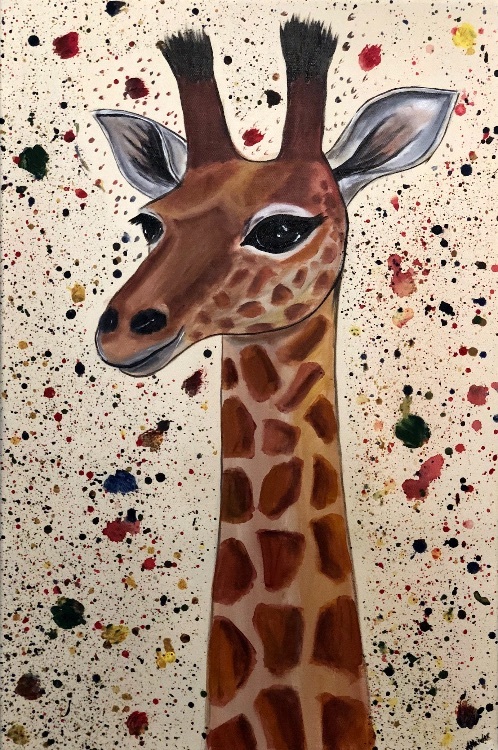 A stunning modern painting of a giraffe with splashes of colours as the background, this art will catch the viewers eye. The painting has been signed in the corner by the artist and has been wired at the back ready to be hung onto the wall. This artwork can be framed if desired to hung without a frame. The painting is varnished with gloss for protections and comes with a certificate of authenticity. The painting will be carefully packed into a custom made box and delivered within 3 working days.